The Octagon returns to action Saturday after a quick one-week hiatus. “UFC Fight Night: Machida vs. Mousasi” takes place inside Arena Jaragua in Jaragua do Sul, Santa Catarina, Brazil. UFC Fight Pass kicks off the live action by streaming all seven preliminary bouts at 7:30PM ET/4:30PM PT. Fox Sports 1 will then broadcast the main card immediately after at 10:30PM ET/7:30PM PT. 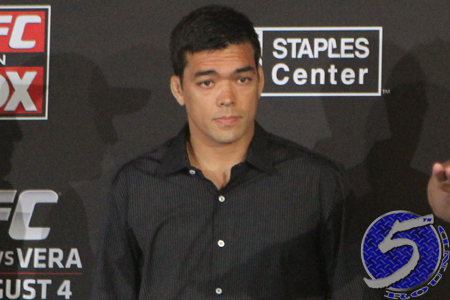 A pivotal middleweight tango between Lyoto Machida (pictured) and Gegard Mousasi headlines the gig. Fellow 185-pounders Ronaldo “Jacare” Souza and Francis Carmont serve as the co-featured attraction.